There are so many wonderful day trips from Hobart that it's difficult to know where to start. In any direction you can head for the sunny east coast, delve into history on our Tasman Peninsula or walk your way into one of our national parks. 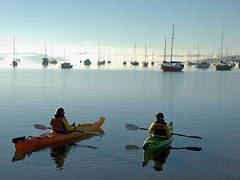 There are thermal springs, waterfalls, kayaking expeditions, simply so much to explore from your Hobart base. Bothwell is a special little place just off the Heritage Highway, settled by Scottish farmers in the 1820s. 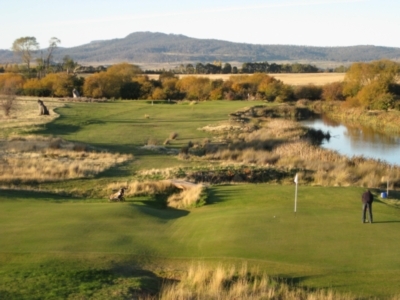 It just happens to be home to the oldest golf course in the Southern Hemisphere, has a fantastic whisky distillery (Nant) and over 50 stone cottages. It's also home to the Australasian Golf Museum with plenty of golfing memorabilia going back a day or two! Play a round of golf at Bothwell and you'll be playing under rules that include what to do if you hit a passing sheep. There are few places that are more entertaining for a game out in the fresh country air! 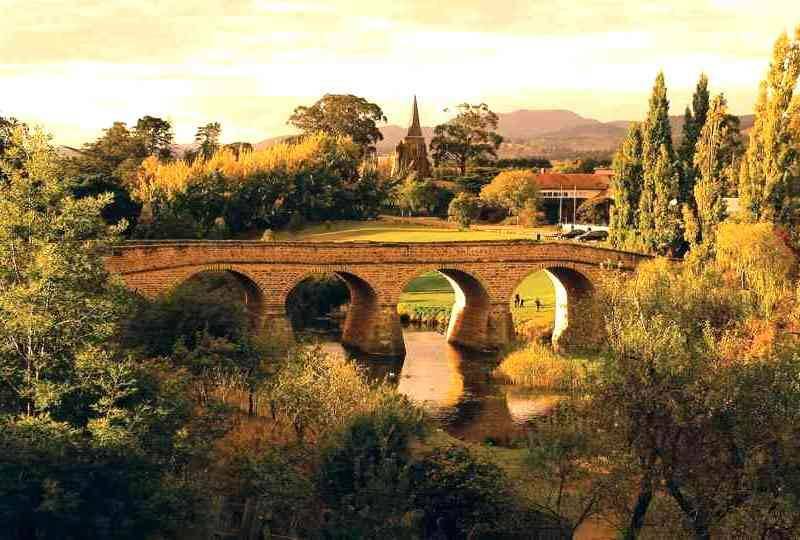 Bothwell is also the gateway to some fine trout fishing, and you'll find luxury country accommodation and stylish cafes in this beautiful historic town. 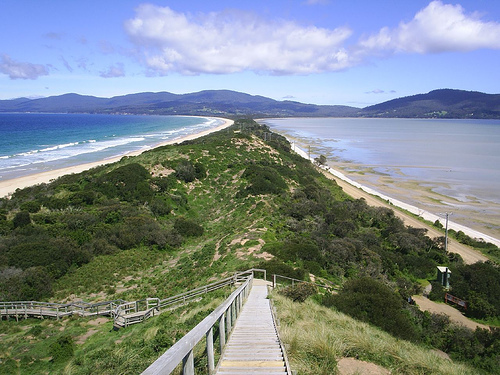 Bruny Island is a must-see island destination! The home of beautiful South Bruny National Park, Bruny Island provides the ultimate Tasmanian wilderness experience. 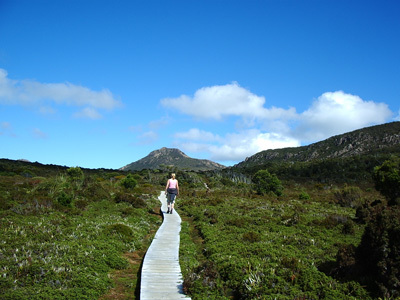 On land, you can venture into the wilderness on one of the many Bruny Island bushwalks. On sea, you can join travel on an eco-cruise exploring the stunning coastline of the island. Bruny Island is home to fur seals, fairy penguins, white wallaby and provides excellent opportunities for birdwatching. 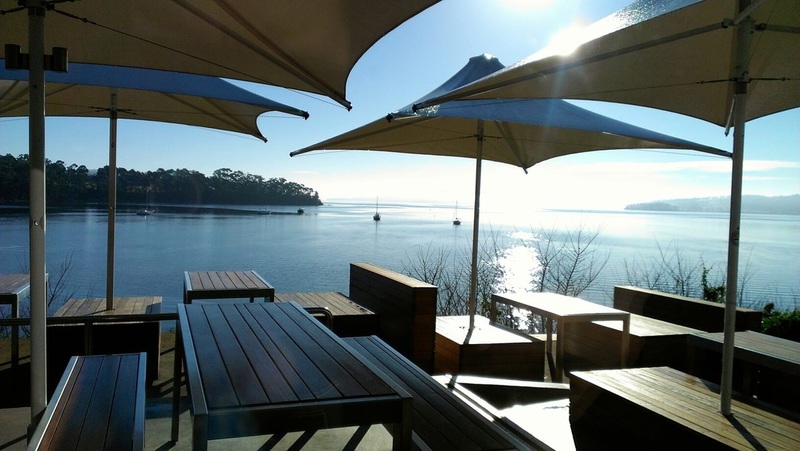 Bruny Island offers tantalising locally produced food and premium quality wine. You will find hand made fudge, chocolate, truffles, berries, cheese and fresh oysters. Bruny Island is also home to Australia's southern-most vineyard. The Coal Mines Historic Site was Tasmania’s first operational mine, established as a much-needed local source of coal, but also as a place of punishment for the ‘worst class’ of convicts. Along with the Port Arthur Historic Site, the Coal Mines Historic Site is included in the Australian Convict Sites World Heritage property. During its busiest years almost 600 prisoners with their jailers and their families lived and worked at the Mines. As you explore this evocative unspoiled landscape, you may catch a faint echo of those long departed men toiling in the dark, and experience something of the isolation and hardship that they endured. The Coal Mines Historic Site is open daily. No bookings are required and entry is free. 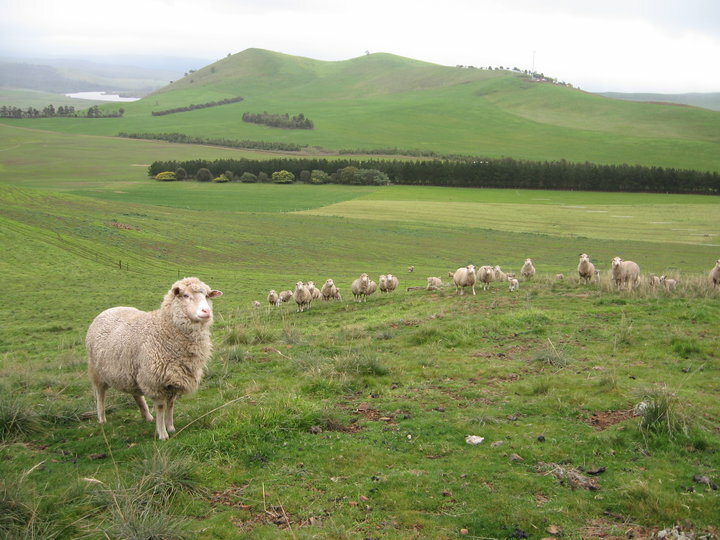 Curringa Farm is an established attraction that gives visitors a taste of life on a working sheep farm and a better understanding of wool production, sheep husbandry and cropping activities. Not only will you learn about best practice land-care and farming techniques, but it is also a charming setting for a delicious lunch for a minimum of 4 people. Please refer to the Tour Operator Information page for detailed groups information about our standard Farmers Lunch Program (minimum 4) and the Shearers Smoko available for a minimum of 2. Book in for one night or more at Curringa Farm and you'll receive a complimentary bottle of Tasmanian wine when you mentioned Tailored Tasmania. The first ship to carve the waters of the Channel was commanded by French navigator Bruni D'Entrecasteaux – now, the waterway and the island it creates both bear his name. 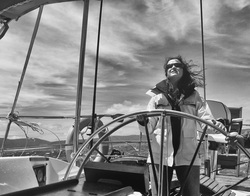 Like D’Entrecasteaux, modern mariners treasure the hidden bays and sheltered coves of the Channel. Along the road that winds its way south through the waterside hamlets of Snug and Margate, Kettering and Woodbridge, Middleton and Gordon, you'll glimpse white sails and bright spinnakers, hard-working fishing boats, the busy runabouts of salmon farmers, visitors relaxing in sea kayaks and kids jigging for squid from a jetty – that's the life of the Channel today. Information from Huon Trail. 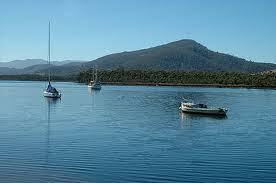 Find out more about the D'Entrecasteaux here. 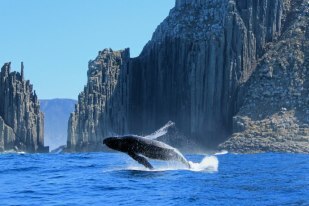 East Coast Cruises is a tour company specialising in 'cruise & walk' tours to Maria Island and Freycinet National Parks. Enjoy Maria’s dramatic coastline and discover why it is considered a rare jewel in Tasmania's wilderness crown. Explore sea caves, spring fed waterfalls, sweeping sandy beaches, towering mountain ranges and the Painted Cliffs. 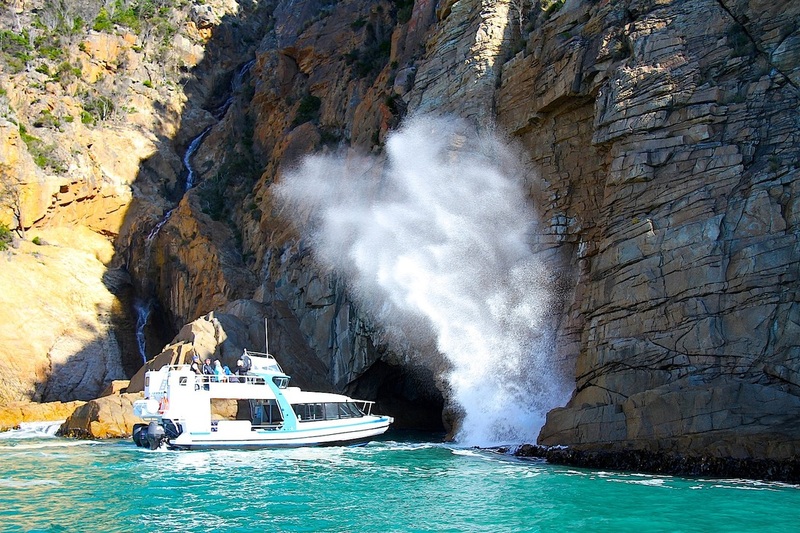 East Coast Cruises operate out of Triabunna, owned and operated by Michael Davis. Michael has been cruising to Maria Island for six years, whilst also maintaining his role as a marine biologist, fisheries scientist, commercial diver and master SCUBA instructor. He shares his knowledge and passion to bring one of the most enthralling and unique experiences on Tasmania's stunning east coast. If you have a car, the east coast is the perfect road trip from Hobart! The coast is famous for its beautiful beaches particularly. 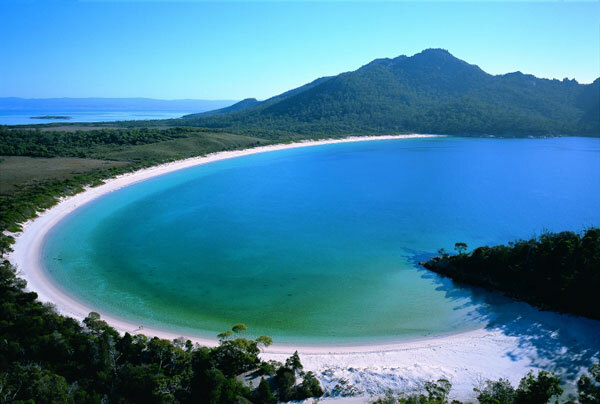 Freycinet National Park consists of snow white sands and crystal blue waters surrounding rugged granite mountains. The most popular attraction is Wineglass Bay - a world renowned location that attracts thousands of visitors every year. The Bay of Fires has also received international acclaim. The northern section of the bay lies within Mount William National Park and the southern section runs from the Gardens to Binalong Bay. It is here that you will find most of the camping areas if you choose to stay longer! Information from www.tasmaniaeastcoast.com.au. Find out more here. Hartz Mountains National Park is a window into the south-west wilderness, offering views of remote mountain ranges as far as the southern coast. As well as spectacular views of a landscape which has been shaped by glaciers during past ice ages, the park offers a variety of unique features. Waterfalls tumble off the dolerite range that runs through the centre of the park and small glacial lakes dot the plateau. The park contains a wide variety of vegetation from wet eucalypt forest and rainforest through to alpine heath on the exposed mountain tops. The park was included in Tasmania's Wilderness World Heritage Area in 1989, in recognition of its spectacular natural and cultural values. Information from Parks & Wildlife Service. Find out more about Hartz here. 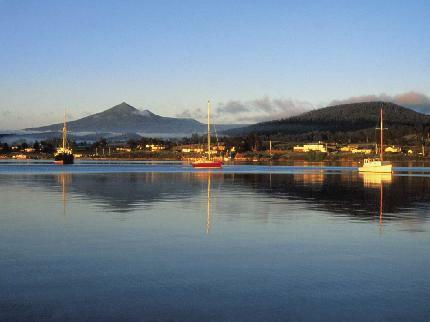 Valley of sunshine and mists, of fruitful orchards and rich soil, of riverside settlements and towns on the forest fringe, the Huon is a valley of surprises. Here, you can savour the fresh produce of the land and sea, sweet summer berries, crisp autumn apples, full-flavoured wines, and the mouth-filling flavours of salmon and shellfish. Tucked away in quiet corners you'll find the galleries and studios of artists and craftspeople. The hub of the district is the busy, productive centre of Huonville, an apple town on the banks of the river. Across the bridge, you'll follow the valley south to Franklin, where timber shavings curl from the boat-builders' planes. Information from huon trail - find out more about the huon valley here. 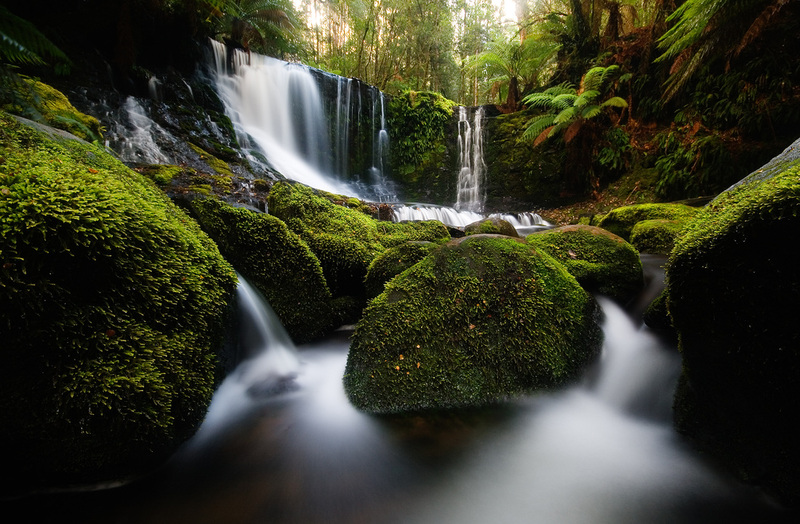 Mt Field National Park is one of Tasmania's most loved national parks. The park has a wide variety of scenic features and wildlife and offers a great range of facilities for day visitors. Few other national parks in Australia offer such a diversity in vegetation, ranging from tall swamp gum forests and massive tree ferns at the base of the mountain, through rainforest along the Lake Dobson Road, to alpine vegetation at the higher elevations. The park essentially has two visitor sections. The first includes picnic facilities and famous Russell Falls. 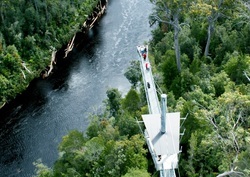 Stunning walks through enormous fern forests and some of the tallest trees in the world are available in this area. The second visitor section is centred at Lake Dobson and includes long day walks and skiing areas. Information from Parks & Wildlife Service. Find out more about Mt. Field here. 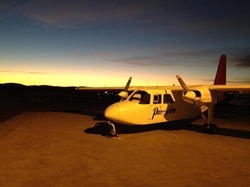 Par Avion can take you to some of the finest, untouched wilderness in Tasmania. 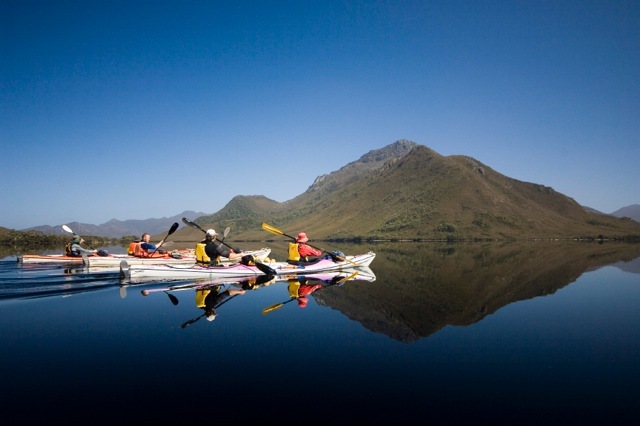 Take an unforgettable full day tour, exploring the incredible waterways and wilderness of Bathurst Harbour. Or take a scenic flight to Maria Island, landing at Darlington then boarding a vessel where you will also witness the remarkable sea caves of Isle De Phoques. Sound incredible? Par Avion can take you there. They also fly daily into the South West National Park of Tasmania and to the east coast, as well as offering general charter & tourist flights statewide. If you are an avid bushwalker, they are more than happy to drop you into the inaccessible Melaleuca in the wild SW or any other place! Peppermint Bay is a worldclass dining venue located in the rural village of Woodbridge, just a short 35 minute drive South from Hobart via the picturesque Channel Highway or by water on our luxury high-speed catamaran. Peppermint Bay is set on four acres of waterfront headland, with commanding 270 degree water and mountain views across the d'Entrecasteaux Channel and the lush rolling hills of the Huon. Stay a while and explore the quaint township of Woodbridge after a long relaxing lunch at Peppermint Bay. The World Heritage listed Port Arthur Historic Site, located on the Tasman Peninsula, is one of the most important cultural heritage sites in Australia and the world. 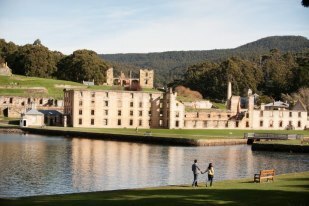 Port Arthur was a key part of the colonial system of convict discipline. Remote, harsh, with no chance of escape, this was the perfect destination for hardened, repeat offenders. But Port Arthur was much more than a prison. As you walk within the Site, the powerful, personal stories of convicts, soldiers, free settlers and their families will reveal themselves. A visit will stay with you long after you have departed. Port Arthur is a place that every Australian, and all international visitors with a wish to understand more of Australia and Australians, should visit. As arguably Tasmania’s most important historic town, Richmond is one of the state’s most popular destinations. Historic, romantic, family friendly, a hub for food and wine lovers with its fresh food and fine wines, grown in fertile soils under the world’s cleanest air. Good examples of Tasmania’s stark convict heritage and beautiful historic buildings. The town is as elegant today as it was in the 1820’s, when it was an important military staging post and convict station linking Hobart with Port Arthur. Nestled in the Coal River Valley, this classified historic town is famous for its Georgian architecture. The stone buildings now house galleries, teashops, craft boutiques and museums. Information from www.richmondvillage.com.au. Find out more here. Hobart's iconic waterfront .... from a different perspective. Nestled between river and mountain, Hobart has one of the most picturesque harbours in the world. 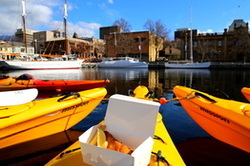 Join Roaring 40s 2.5-hour city paddle and head behind the scenes of this vibrant, working waterfront to discover the true heart of Hobart. Departs from and returns to Marieville Esplanade, Sandy Bay 10am and 4pm daily in summer, 10am Friday, Saturday and Sunday in winter. Suitable for children 7 years and over and beginners, includes a snack of fish and chips delivered to your kayak and all sea kayaking equipment and experienced guide/s. On that note, click here for a detailed, up-to-date guide on how to choose a kayak according to science that is packed with tips and advice. 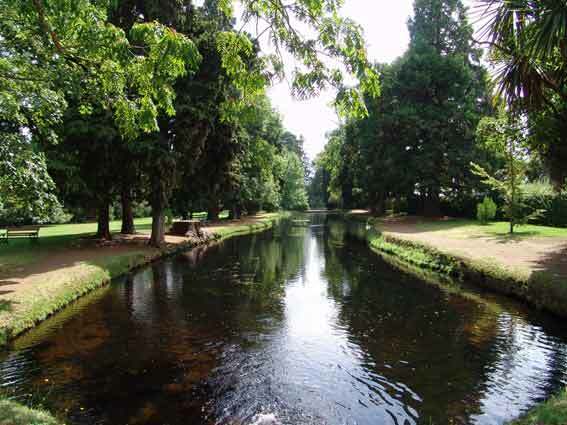 The Salmon Ponds, circa 1861, is the oldest trout hatchery in the Southern Hemisphere. It was the birthplace of trout in Australia and the origin of Tasmania’s legendary trout fishery. Take a walk back in time amidst the historic buildings, hatchery and fish ponds – all set within the original 19th century English style public open space of superb trees, hedges and lawns. Large ponds brim with different species of fish up to 8 kilograms, including rainbow, brown, broke, tiger and albino trout as well as Atlantic salmon. Enjoy traditional European style crepes by the ponds, along with a Tasmanian wine or quality coffee. Relax the day away! If you have time for a 4-5 hour return walk, Shipstern's is one of the most spectacular you'll find. Located in the Tasman National Park, Shipstern's Bluff is known in the surfing community as one of the most famous breaks in the world. Kelly Slater, among other famous wave riders, has tackled these wild parts. The walk is spectacular, with plenty of cliff top views along a coastline that boasts some of the highest sea cliffs in the southern hemisphere. The track eventually leads down to Shipstern's Bluff - where you must be careful not to get too close to Mother Nature's wild waves! If the tide is out, walk around the point and you'll see large fallen boulders, perhaps find a pleasant wading pool on a summer's day and grand ocean views where the next stop is Antarctica. Click here for more information about Shipstern's and other Tasman Peninsula walks. Walk among the giants of the forest...Experience the power of nature at the AirWalk. With breathtaking views of the forest canopy, spine-tingling swinging bridges across the Huon and Picton Rivers and Tasmanian food and wine in the café, there’s a full day of fun for the whole family. Whether you’re looking for a peaceful forest ramble or are up for a more challenging hike, one of Tahune’s trails is sure to fit the bill. It all adds up to an action-packed day in the great outdoors for everyone. Please note, the path to the Airwalk is uphill and includes around 90 steps. Open daily: 9am-5pm November to March, 10am-4pm April to October (closed Christmas Day). 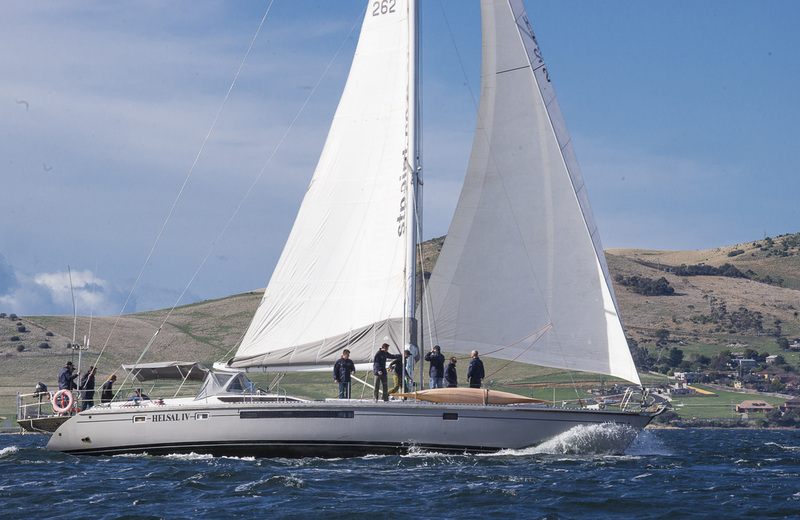 Come sailing aboard the 62 foot Maxi, Helsal IV. A luxury ocean racer/cruiser. She can go anywhere anytime, from a few hours on the Derwent River to a few weeks in the wilderness...we will take you there. In Tasmania, there are 90 metre high vertical cliffs that drop straight into the sea, secluded inlets and beaches, giant kelp forests, wrecks and abundant sea life, including penguin and seal colonies and migrating Southern Right whales that choose to calve in these waters. From the white sandy beaches and crystal clear waters of the East Coast to the sublime wilderness of the West, these are our cruising grounds … Come sailing with us! Discover the breath-taking sea cliffs and explore the spectacular coastline of the Tasman Peninsula. Long white sandy beaches, rugged sea cliffs, sheltered rainforests; not to mention the wildlife and history. Whether walking, touring or cruising, the Tasman Peninsula and surrounding region offers some of the most spectacular scenery in the world. Practically an island, the diversity and abundance of wildlife and plantlife is truly remarkable. Although this is listed as a day trip, to fully explore the peninsula requires far more time, so if you have it spare, you'll be grateful that you gave yourself a couple of nights here! Mother Nature is at her most spectacular in this part of Tasmania; dazzling dolomite caves, thermal springs, deep blue waters, brilliant white beaches, cool fresh rainforests and golden sunsets. Beyond the mouth of the Huon River, the landscape is wilder, the peaks steeper, the sea a deeper blue – you're getting closer to the end of Australia's most southerly road on the rim of the continent. Along the way, the fishing fleets of Dover and Southport shelter in the deep bays where the first European navigators dropped anchor. Today, people of these seaside towns harvest the cold, clean waters of the Channel and the Southern Ocean catching the freshest oysters and mussels, succulent crayfish and delicate salmon. Information from Huon Trail. Find out more about the far south here.